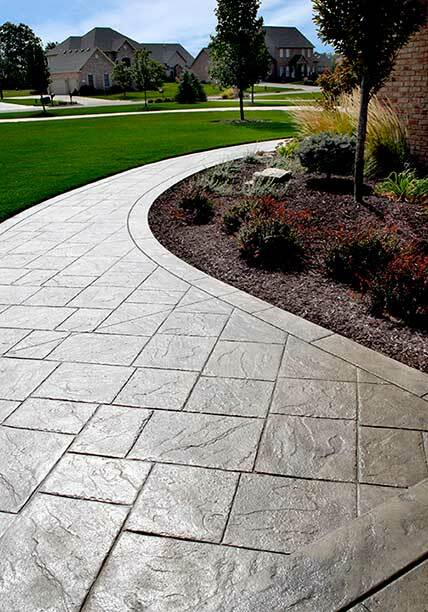 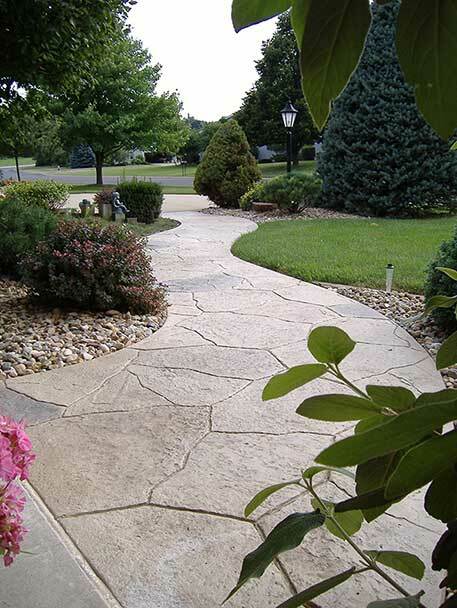 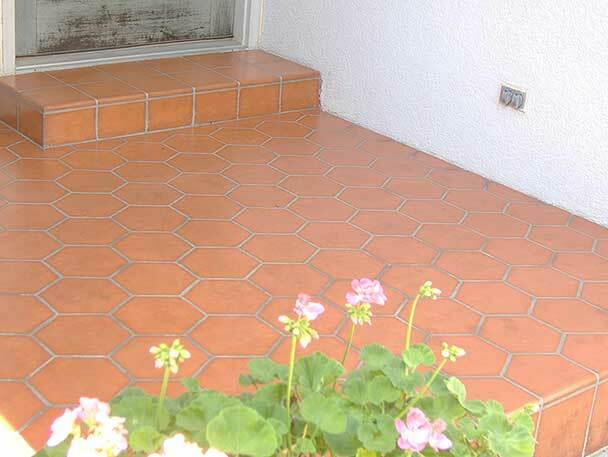 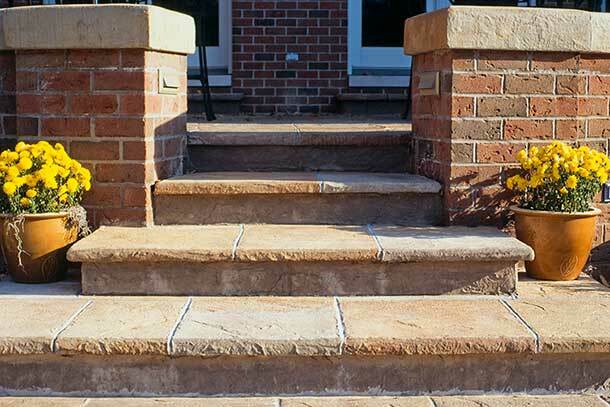 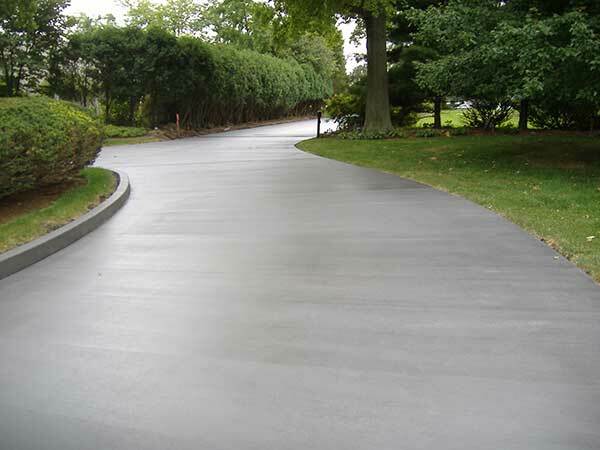 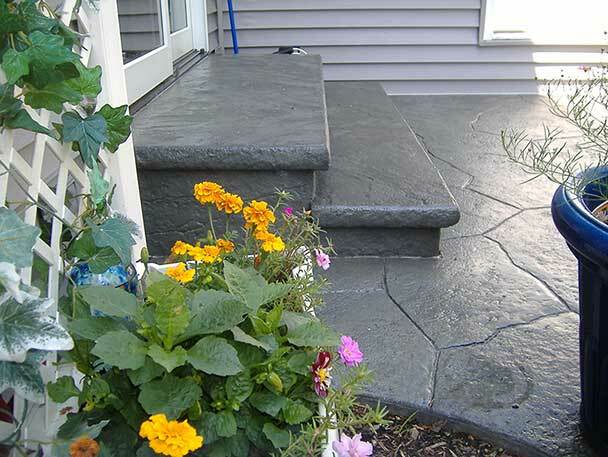 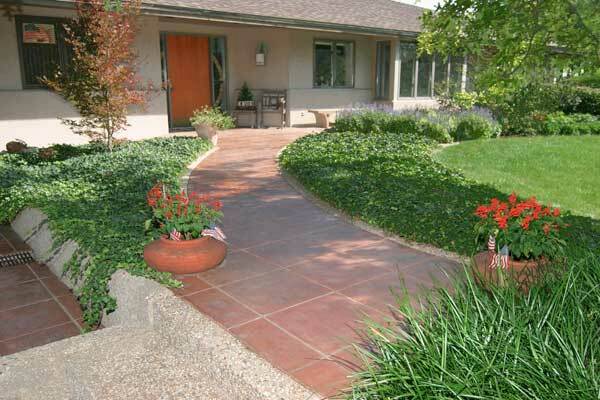 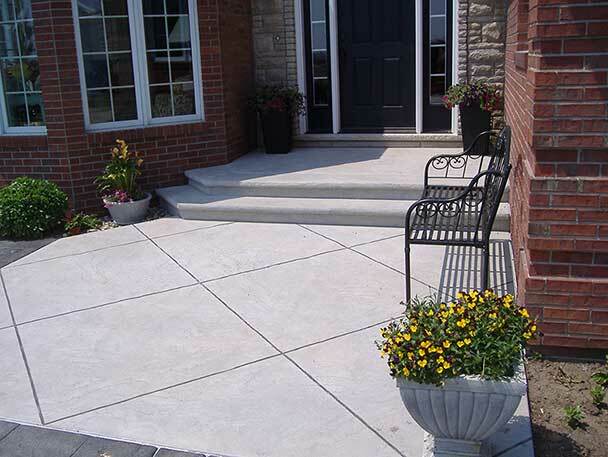 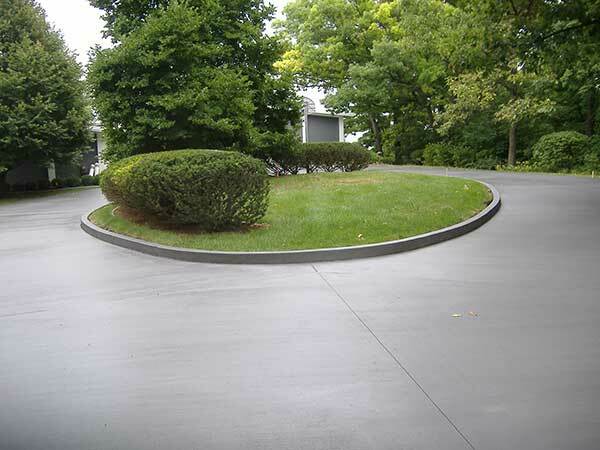 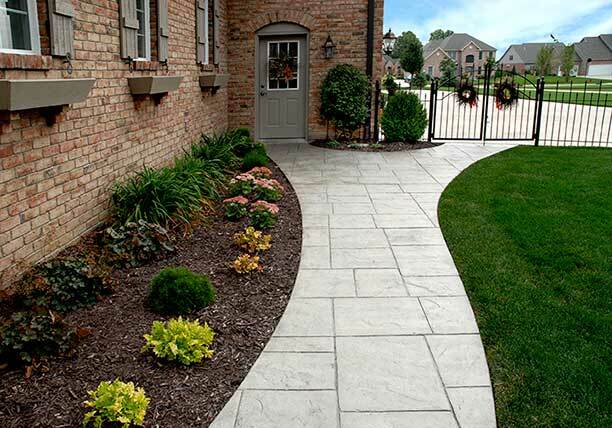 A home's curb appeal can be greatly enhanced with the addition of decorative details to the sidewalks. 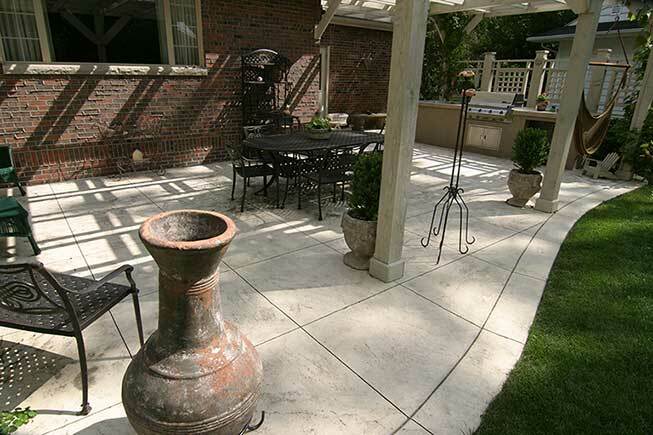 Colors and textures are inviting and can create either a subtle or dramatic impact. 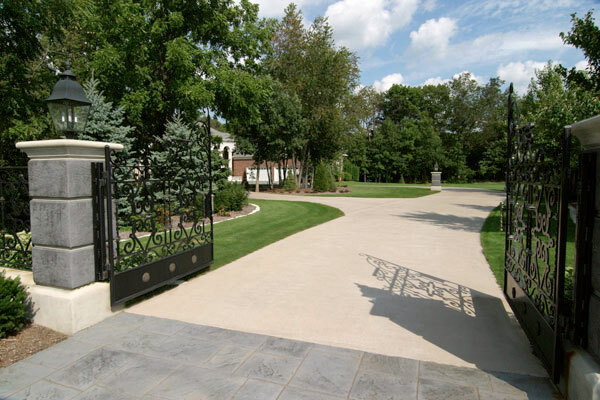 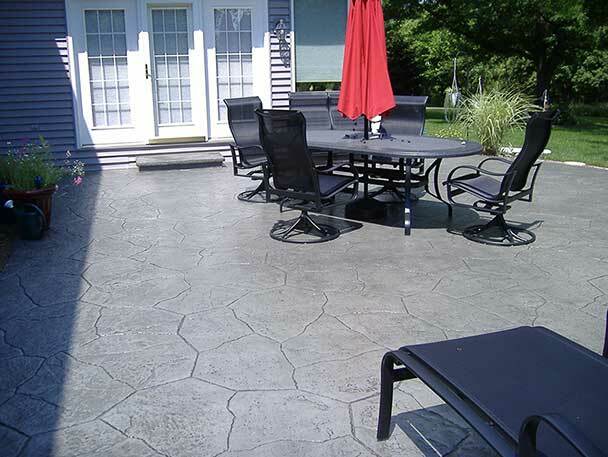 Whether welcoming guests into your home, enjoying the yard, or relaxing by the pool, Bomanite colored and imprinted concrete enhances the experience. 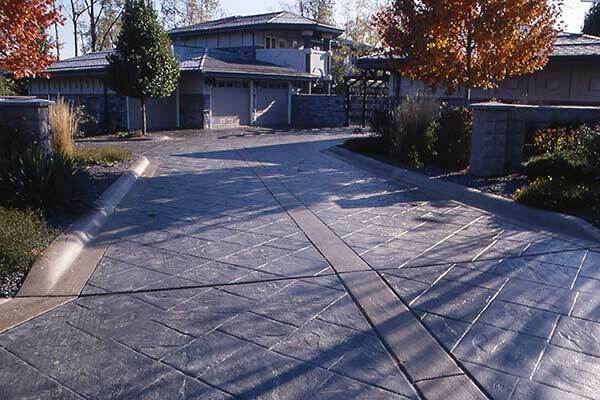 A wide variety of colors and textures mixed with some imagination can open the door to endless possibilities for custom hardscape installations. 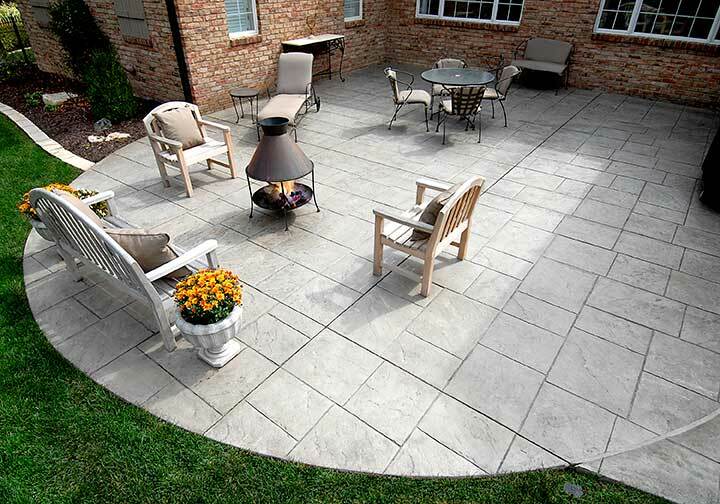 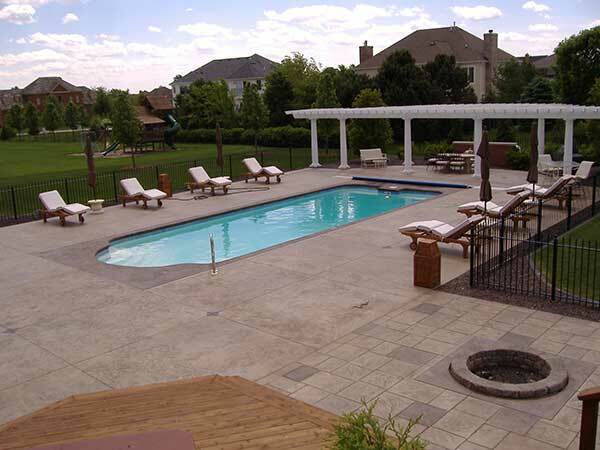 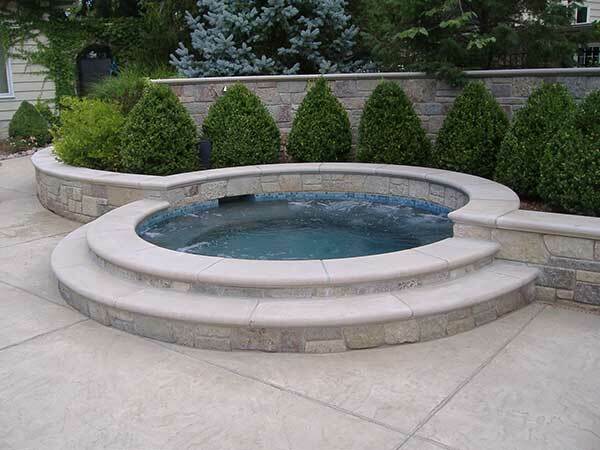 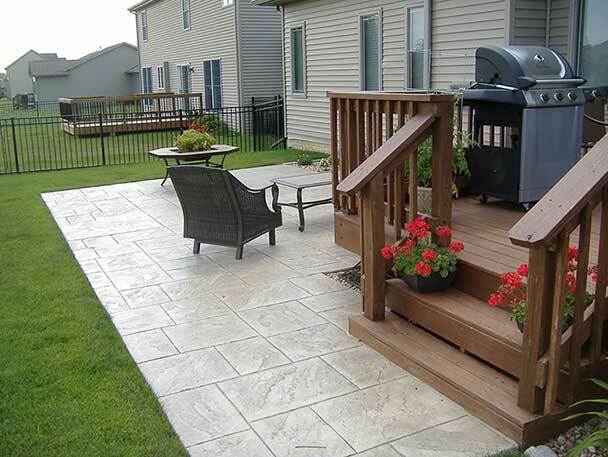 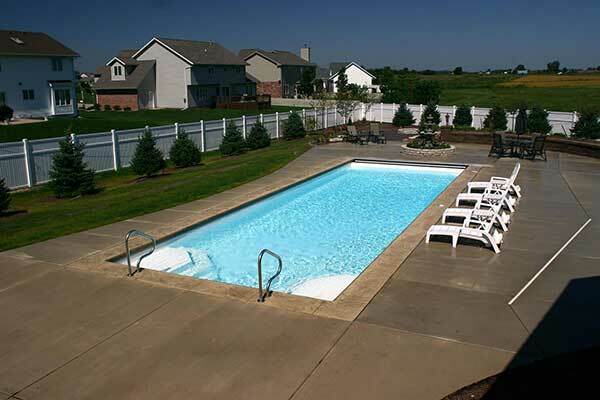 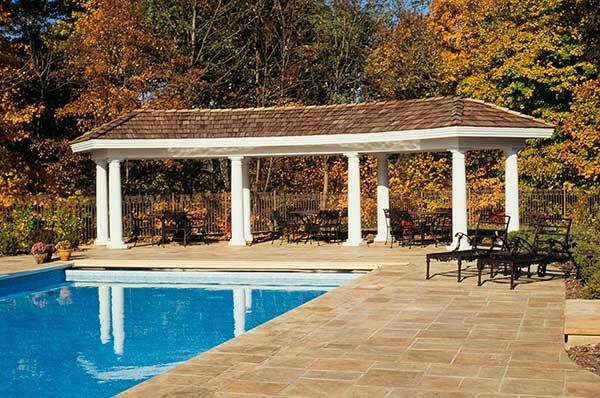 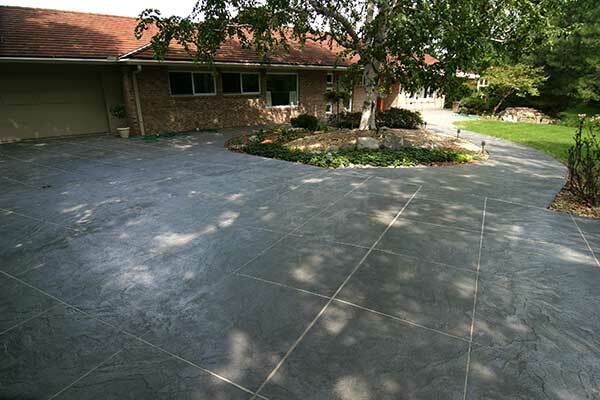 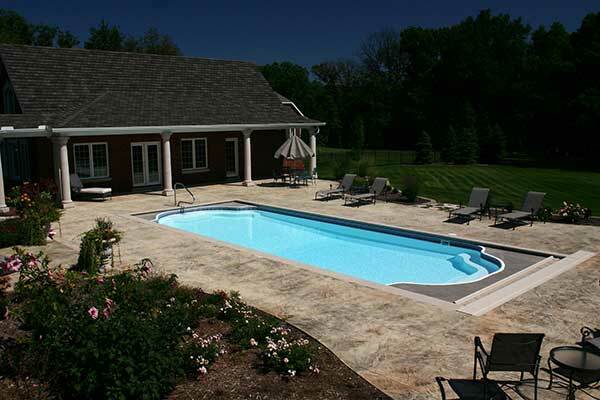 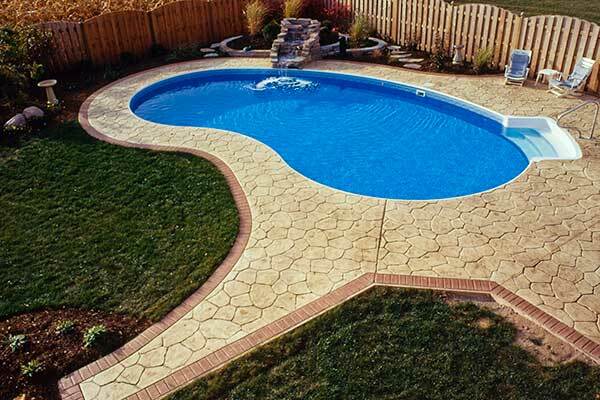 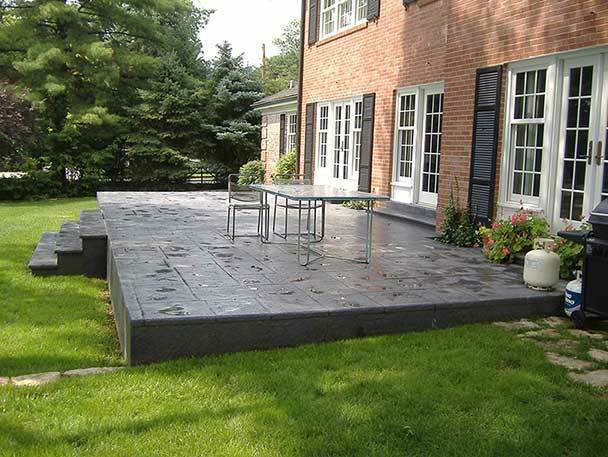 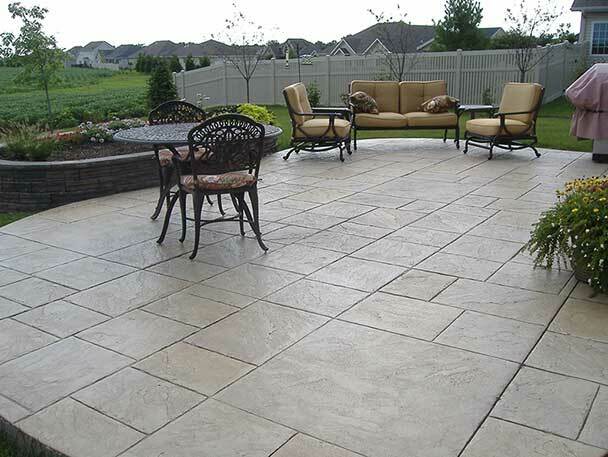 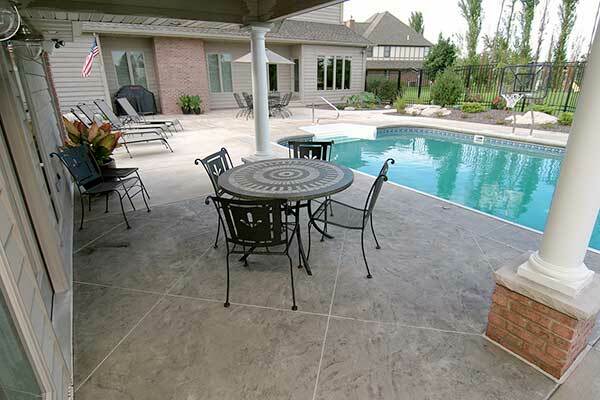 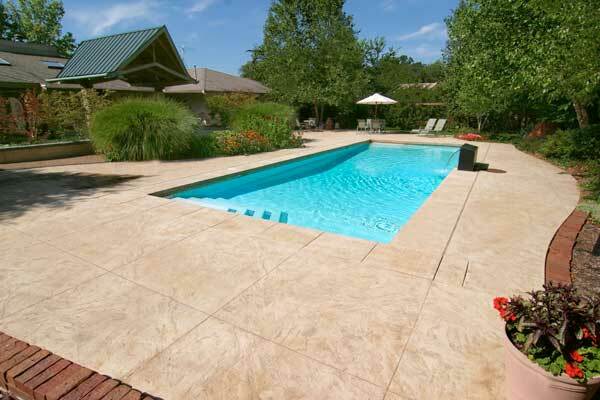 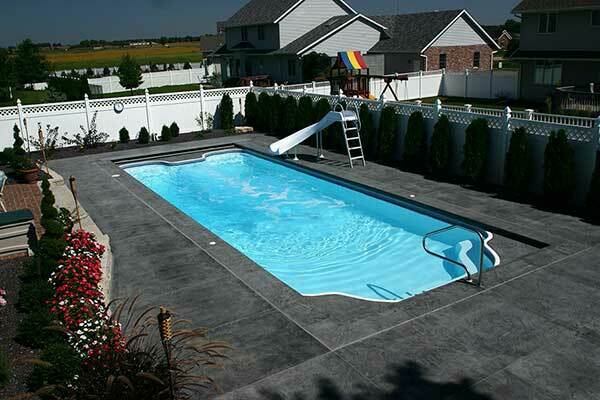 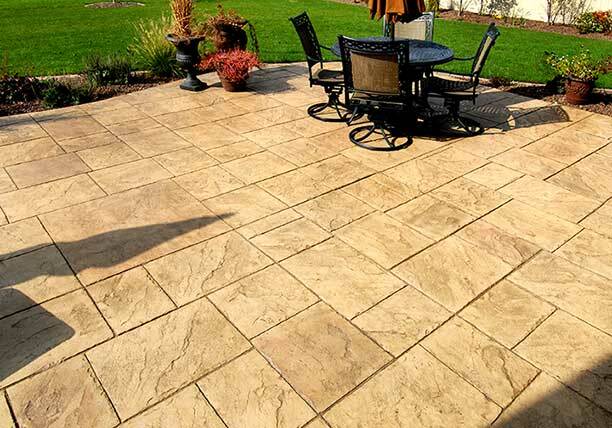 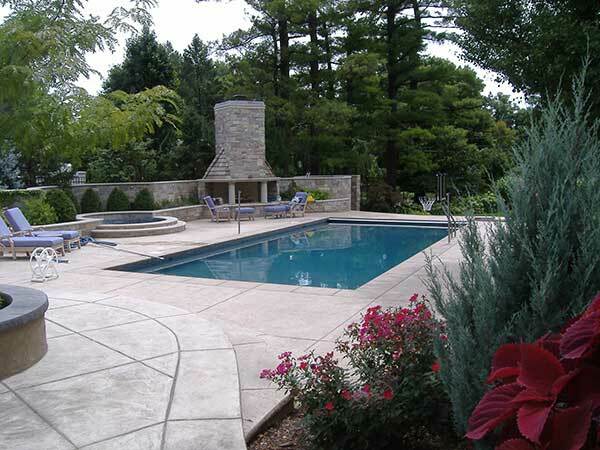 Whether relaxing by the pool or enjoying your backyard, decorative concrete adds to the experience. 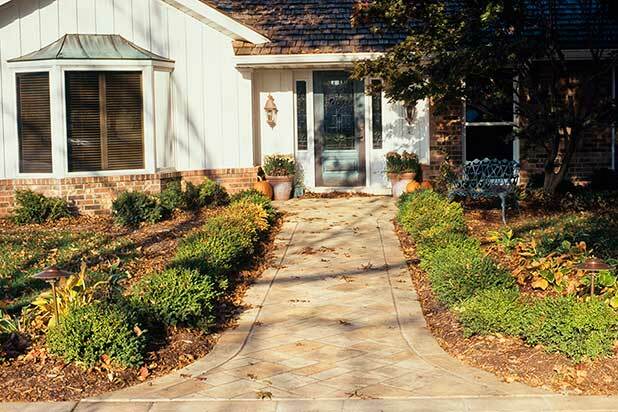 Complimentary colors and textures lend themselves to landscape designs by harmonizing form and function and opening the door for homeowners creative expression. 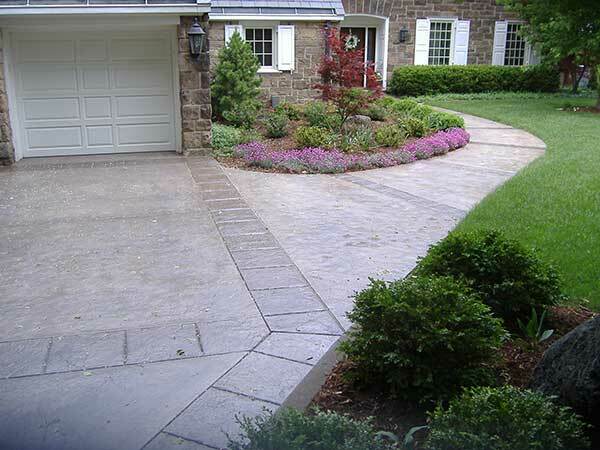 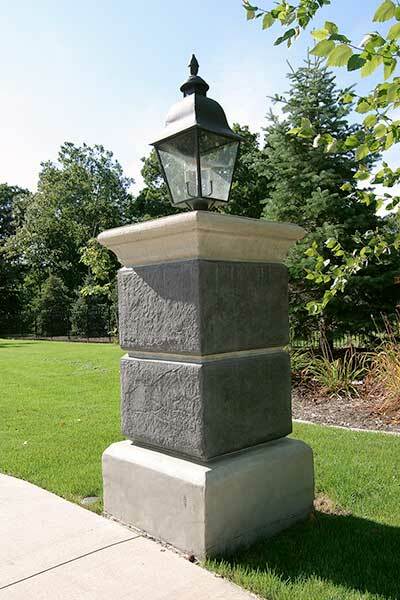 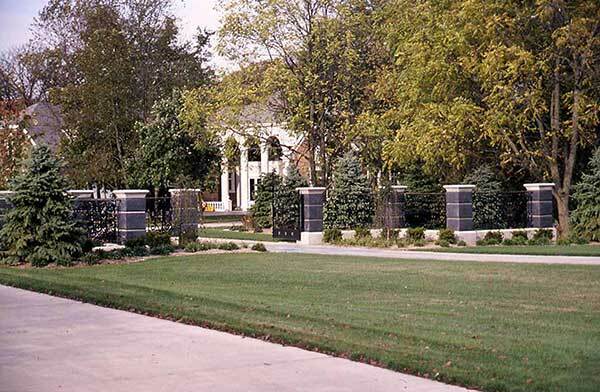 A home's curb appeal can be greatly enhanced with the addition of decorative details in the drive entrance. 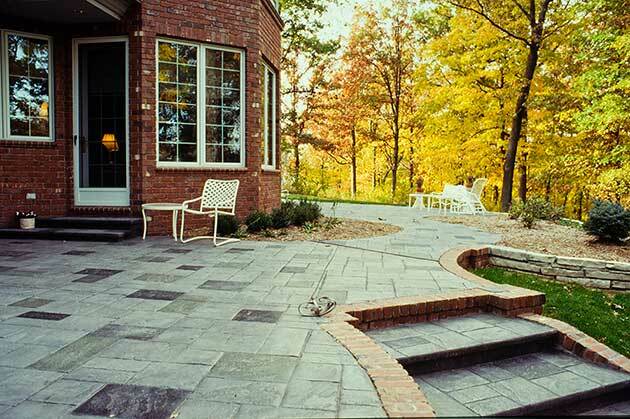 Colors and textures are inviting and can create either a subtle or dramatic impact.